But there are fine prints you should be aware of. Read on. The Next Millennium Card is a shopping catalog card from Unique Card Services. 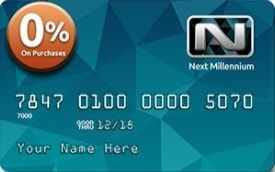 It is not a Visa or MasterCard and can only be used at their online store www.myuniqueoutlet.com. 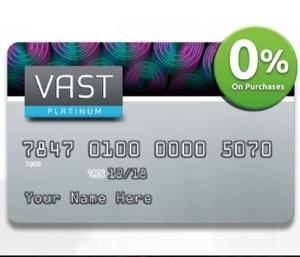 They key points of this card is that it offers 0% APR financing and no credit checks. But you would need to enroll in a monthly membership (with fees off course) to get this benefit and a $1,000 unsecured line of credit. Below is a screen shot of their online shopping site. Upfront Initial Payment Fee : $29.95. Yep, one of those upfront fees you have to pay. Minimum Payment : $25 or 15% of balance. To join the Unique Card Services membership, you have to pay some fees. Firstly, there is an upfront fee of $29.95. After that, you have to pay a monthly fee of $19.95, which works up to works out to $$239.40 a year. For the fees that you pay, you get benefits like free roadside assistance and opportunities to get discounts from various merchants and services and a $1,000 unsecured credit line. The interest rate is 0% so you do not actually have to pay interest if you pay over time on your purchases. However, this is offset by the fees you have to pay. You have to pay a minimum of $25 or 15% of your balance for your minimum payment. This table is best viewed in landscape mode. As you can see from the table above, there are quite a few online shopping clubs which offer credit accounts. However, despite their numbers, many of them belong to the same company and have identical features. For example, Next Millennium, Vast Platinum and Unique Platinum are all owned by Unique Card Services. Net First Platinum, Freedom Gold and Horizon Gold are all from Horizon Card Services. Fingerhut and Gettington are owned by Bluestem Brands. The cards from Unique Card Services and Horizon Card Services are very similar. They all offer 0% APR financing on products and do not perform any credit checks on applicants. But they also do require a membership in order to get your $1,000 unsecured credit lines and access to their shopping site. Fingerhut and Gettington are a little different. They do not require any membership fees though they do charge an interest rate if you decide to finance your purchases. Another difference is how these shopping cards report to credit bureaus. The cards from Unique Card Services do not seem to indicate that they report to any bureau. The ones from Horizon Card Services report to "one major bureau" which we believe to be TransUnion. The best of the lot is Fingerhut and Gettington who report to all three major credit bureaus. Before we make our recommendation on this card, it is very important to look at the bigger picture with regards to rebuilding your credit. If your credit has been damaged through charge offs, delinquencies, collections etc, chances are that your score has plunged to below 500. To rebuild your credit, it is important that you clean up your credit reports for inaccuracies. Ironically, to start the rebuilding process, you have to get credit. But very few will use you credit with that sort of scores. Your best bet would be a secured credit card. After about six months to a year of responsibly using your secured card, your score should move to the 550 to 600 range. You can then try to get an unsecured credit card like Credit One. After a few months, you could supplement that with a store card or a shopping catalog card like Fingerhut. Now, that we have an idea of when in the process of rebuilding should we get a "store type card", we can answer the question of how good is Next Millennium. I would say that in terms of fees, there are better options like Fingerhut and Gettington. Though they offer 0% financing and no credit checks, the membership fee is high when you add everything up and your activities may not be reported to the credit bureaus at all. You might want to consider this card if you have been rejected a few times by both secured and unsecured cards and you do not want anymore hard pulls on your credit report for the moment.